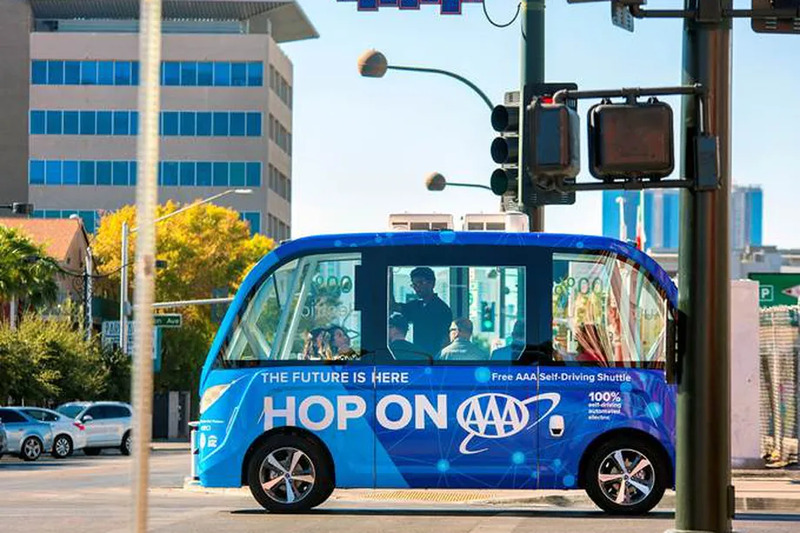 Update: In only its first hour of service, Las Vegas’ driverless shuttle got into a minor collision with a delivery truck that was backing up. The shuttle, which is designed by a French startup called Navya, can seat up to eight passengers, including a safety driver. So while the vehicle’s hardware and software will be handling all the driving operations, it won’t literally be a “driverless” experience. Starting November 8th, the shuttle will begin accepting passengers at any of the limited route’s three stops located on Fremont Street and Carson Street between Las Vegas Boulevard and 8th Street. The service is operated by Keolis, the largest private transport company in France, and will also be sponsored by AAA, which plans to use the year-long project to survey rider attitudes toward autonomous vehicles.